As the world's tiger population contracts, these cats are not only being driven to extinction by habitat loss and illegal hunts - they're being dealt a blow on a microbial level, too. A spreading disease related to measles called canine distemper virus affects mammalian guts, lungs and nervous tissue (though not those of humans or domestic cats). In dogs, the mortality rate can reach up to about 50 percent, which is why owners should ensure pet dogs receive a distemper vaccine. Wild tigers don't have the luxury of vaccinations or regular visits to the vet. When the big cats prey on sick dogs or other carnivores, they run the risk of becoming infected with the disease. 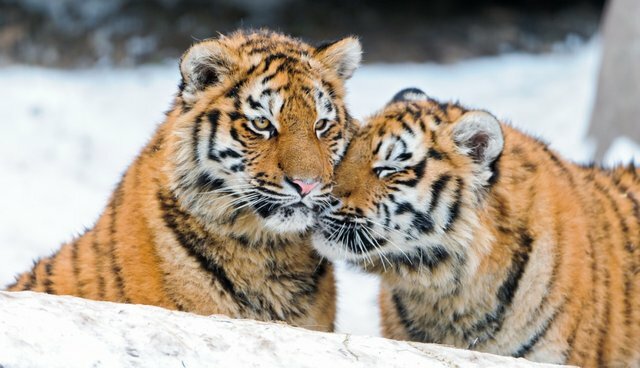 Researchers from conservation groups Panthera and Wildlife Conservation Society, as well as U.K. veterinarians and other scientists, calculated that as the disease spreads through Amur tigers in Russia, this subspecies is up to 56 percent more likely to go extinct in the next half century. Small groups of 25 individuals in the Sikhote-Alin Biosphere Zapovednik are at particular risk, the scientists noted in the journal PLOS ONE. Even a low-risk disease scenario ups the tigers' odds of extinction in this area by 6 percent. "Tigers face an array of threats throughout their range, from poaching to competition with humans for space and for food. 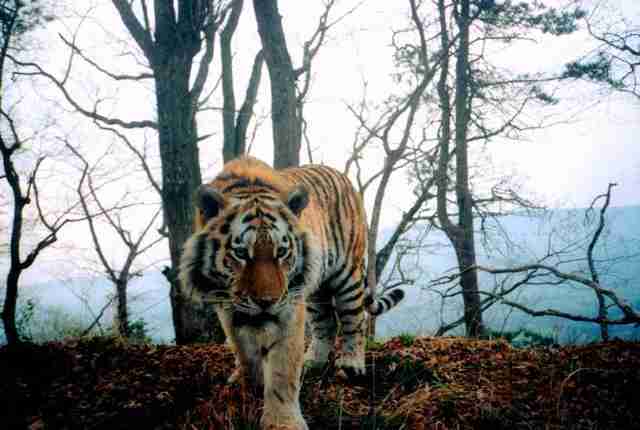 Consequently, many tiger populations have become smaller and more fragmented, making them much more susceptible to diseases such as CDV," said Dale Miquelle, Wildlife Conservation Society's Russia Program Director, in a statement. "While we must continue to focus on the primary threats of poaching and habitat destruction, we now must also be prepared to deal with the appearance of such diseases in the future." Because the Russian tigers are spread so far and thin in the wild, vaccinating them is nigh impossible, as journalist John Platt pointed out at Scientific American in 2011. A better option would be to vaccinate the local dogs, who may act as a reservoir of the disease. The authors of the recent study also wrote that it's critical to determine which other wild carnivores may harbor canine distemper. 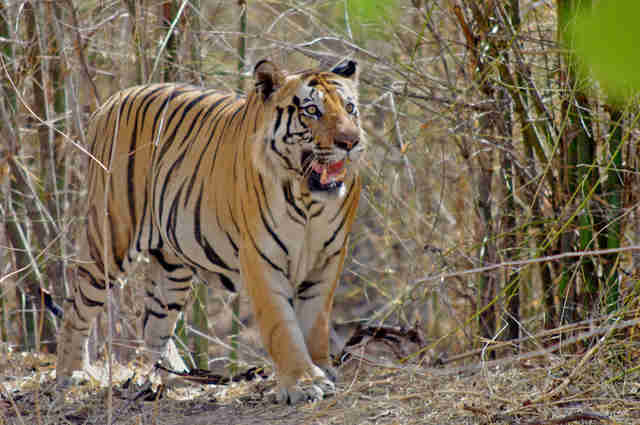 It's not just Russian tigers who are at risk from catching the virus; Indian veterinarians highlighted the negative impact of canine distemper on tigers in January. Here too, dog vaccinations could offer a partial solution. "We cannot vaccinate every dog, of course," Rajesh Gopal of India's National Tiger Conservation Authority told The Guardian. "But even 50% of dogs in the zones around sanctuaries would help."